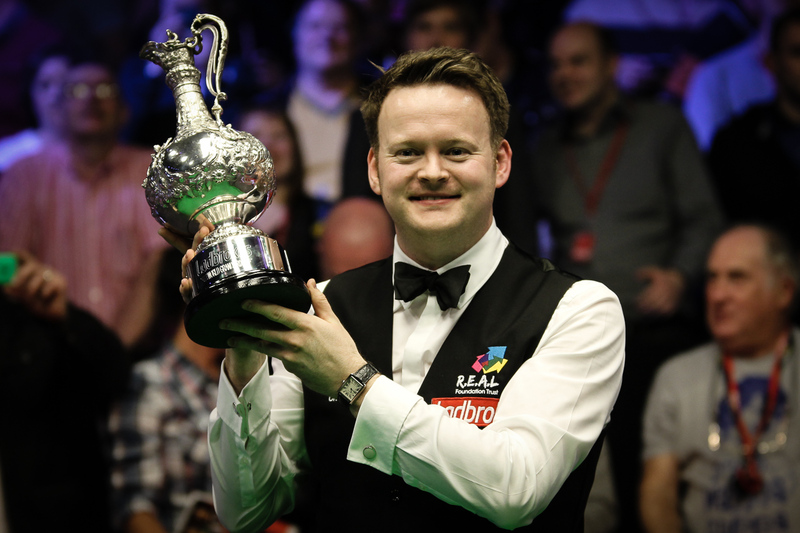 Shaun Murphy won a dramatic final 10-9 against Stuart Bingham to win his first ranking title for two years at the Ladbrokes World Grand Prix in Llandudno. An enthralling contest swung one way then the other throughout the day and was only settled when Murphy got the better of a tense deciding frame. The 33-year-old captured the sixth ranking title of his career and first since the 2014 Haikou World Open, as well as the £100,000 top prize. The match was a repeat of last season’s World Championship final when Bingham came from 8-4 down to win 18-15. Today’s battle brought back memories of that Crucible crash as Murphy let slip an early lead, but this time it had a different outcome as the Nottingham-based potter ended up with the silverware. Murphy moves level with Ken Doherty and Mark Selby on the all-time list of ranking event winners and climbs to number four in the world. 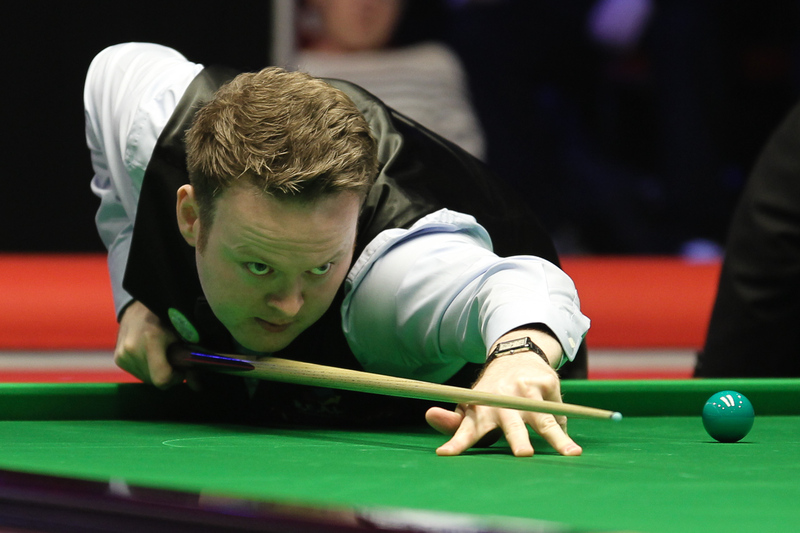 Until this week it had been a disappointing season for Murphy, his only other final coming at the Paul Hunter Classic European Tour event when he lost to Ali Carter. He admits he tinkered with his tactics and technique after losing the world final, and only recently went back to his natural style of all-out attack. That paid dividends in North Wales as he conceded just four frames en route to the final and eventually secured the trophy. Bingham has also struggled for form for much of the season but can take confidence from reaching his first final of the campaign this week. The world number two goes back to Basildon with a cheque for £35,000 and can look forward to the defence of his world crown in Sheffield next month. 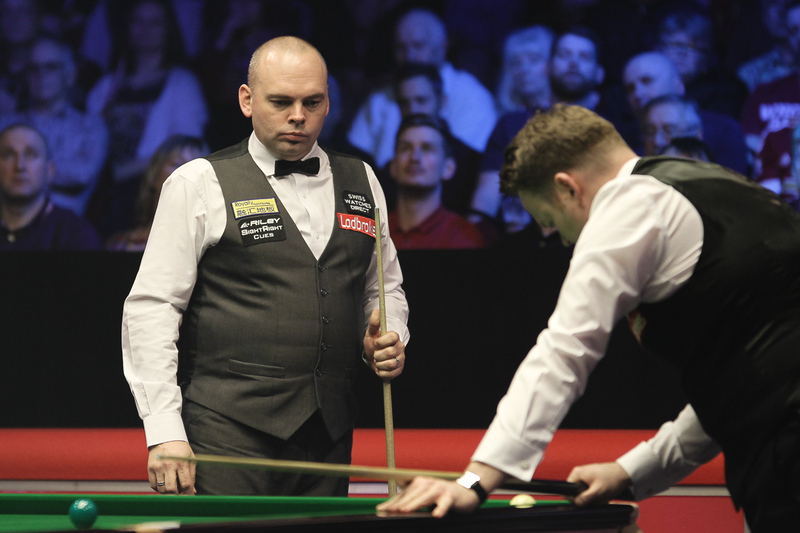 Leading 5-4 after the first session, Bingham soon extended his lead tonight with a break of 68. At that stage he had won five frames in a row and he looked set to go 7-4 ahead until he missed a red to a top corner on 40 and Murphy stayed in touch with a cool 52 clearance. Runs of 37 and 35 got Murphy back to 6-6 then Bingham regained the lead in frame 13 with a break of 45 after trapping his opponent in a tough snooker. Murphy hit back after the interval with a 94. In frame 15, Murphy made 48 before running out of position with three reds left. Bingham had a chance to counter but, having made just 8, suffered a stroke of misfortune when his attempted black bounced off the back off a top corner pocket and stayed on the baize. That left Murphy able to pot the last red to go 8-7 ahead. Frame 16 lasted 32 minutes and came down to the colours. Bingham laid a snooker on the yellow, and from the chance that followed he cleared the table to square the match. A missed red from Bingham early in the next proved costly as Murphy made a tremendous 120, the only century of the contest. He had first chance in frame 18 but potted just one red before missing the pink to a top corner. Bingham’s runs of 23 and 38 put him ahead and, after Murphy missed the pink again to a centre pocket, he added 22 for 9-9. Murphy had first chance in the decider after a thumping long red and made 24 before running out of position. After a safety exchange, he missed a tricky red to a top corner, then Bingham rattled a red in the jaws of the same pocket. Another brief safety tussle was ended when Murphy cracked a fantastic long red to a baulk corner, and this time there was no mistake as he added 47 points for victory. “It had the feel of a 9-9 all day,” said 2005 World Champion Murphy. “I was trying to go for my shots and make something happen, but Stuart played some good snooker. At 4-1 I was in the balls and had the chance to pull away, but didn’t take it and he came back at me. At 5-4 down my head was gone and I was just happy to get out of the arena. Stuart was very unlucky at 7-7 when the black bounced out, I think it hit the lens of the TV pocket camera. It took me 30 seconds to realise what had happened. At 9-9 I made a mess of one chance but then went for a long red and got it. Bingham said: “I struggled all day and I was lucky to have a chance to win in the end. At 4-1 I felt I was playing with someone else’s arm, so I was ecstatic to finish 5-4 up this afternoon. I had a chance to go 7-4 but got a kick on a red and that changed the final because I was in a good rhythm.